Hino is claiming a local first with its 300 Series, announcing the light-duty truck range is the first of its kind to offer a reverse camera as standard equipment. Fitting the ADR-compliant, waterproof, and high-definition cameras into its range, Hino Australia manager of product strategy Daniel Petrovski says the truck maker is "meeting the demands of our customers and the needs of Australian light duty truck buyers." "Our light-duty trucks are already equipped with cruise control, dual SRS airbags, ultra-narrow A-pillars, ABS brakes and Vehicle Stability Control," he says. "Reverse cameras are a logical addition to the standard safety specification." 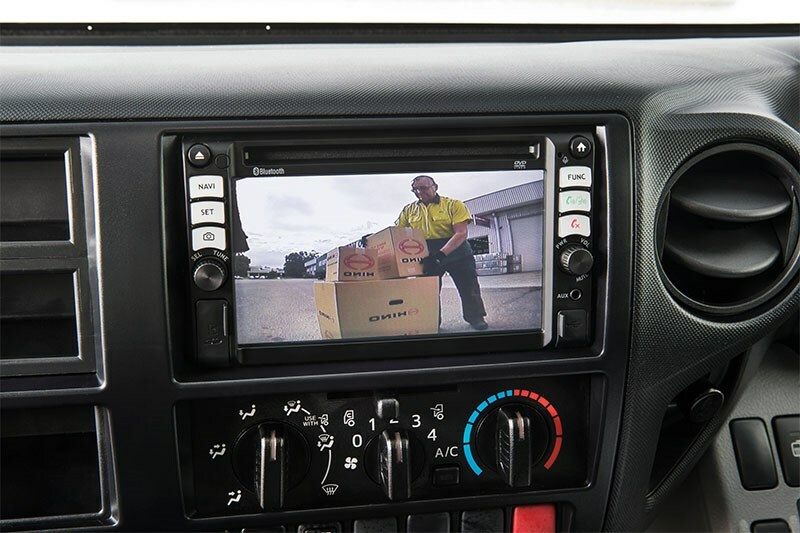 Offering a live video feed to the truck’s 6.1-inch touch-screen multimedia unit, the camera aids the driver in reversing safely both on the road and in the depot. The drivers will also have access to audio via a built-in microphone and, when it comes to night operation, will be able to utilise the camera’s infrared night-vision capabilities. Petrovski says with the addition of the camera feed to the already-fitted large electronically adjustable and heated mirrors with integrated convex spotter mirrors, drivers will have a 360-degree view of their surroundings. 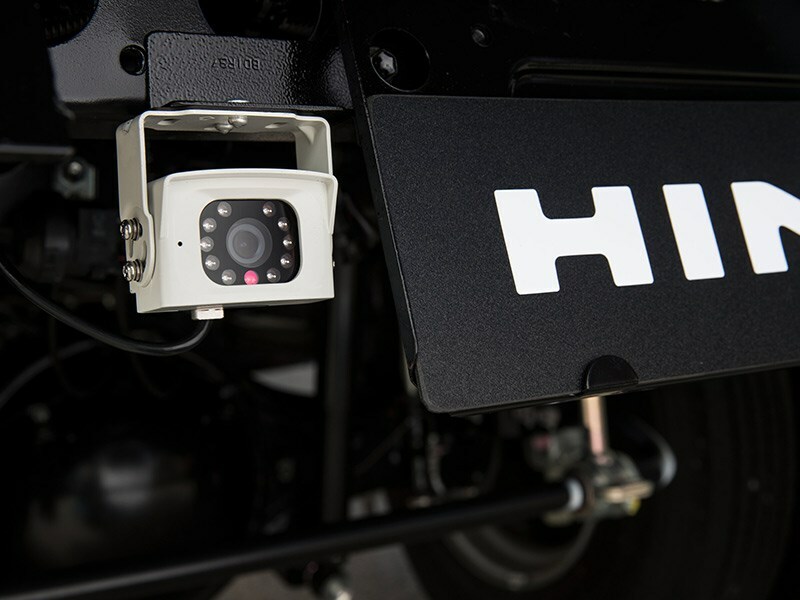 "Our decision to fit rear-view cameras to the 300 Series is a positive step in ensuring that Hino is at the forefront of safety developments in the Australian commercial vehicle market," he says. The announcement is the second piece of news out of Hino Australia concerning the 300 Series in a month, with the Hybrid variant celebrating its approaching 10-year milestone.